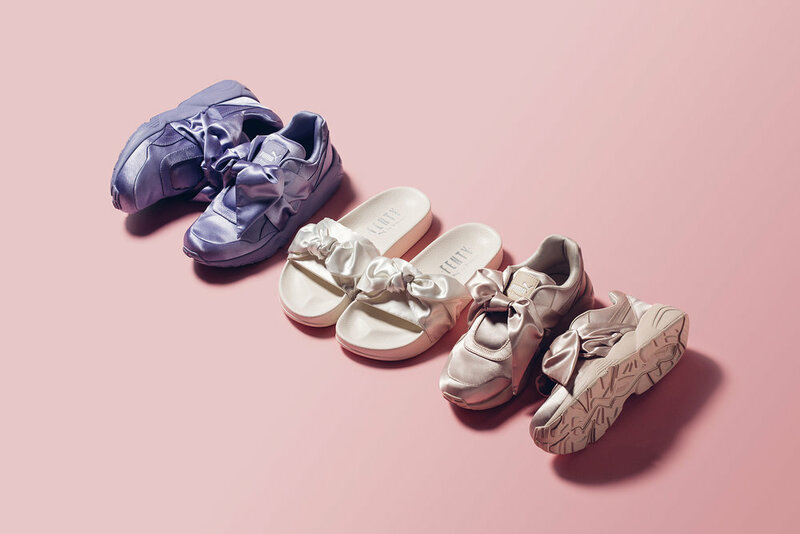 Included in the drop is a sneaker reminiscent to Puma's R698 ($160) and an updated version of the Fenty Slide ($90). Each piece in the collection is laced with a built-in bow, draped in a silk construction; available in Tint Pink, Sweet Lavender and a Marshmallow hue. Available on April 13th at Feature. Oh, here's a video I did with @themoonbeast using Rihanna's "Needed Me". Didn't they tell you that I was a savage?